Andre Clanton is probably not someone who students want to meet in his official capacity as Director of Student Conduct. But as the person who adjudicates violations of Life University’s Conduct Code and Honor Code, you will meet him if you violate either code. Tough and effective, most students never get to meet him under more positive circumstances, and that is unfortunate since he is immensely likeable! You see, if a student violates a University policy, Clanton is responsible for having a conversation with them about that violation and how their actions affect their community and themselves both academically and personally. Clanton has the student come to his office for this discussion, and it is there that they get to meet the 6’7” man who is now responsible for helping them resolve the situation. Intimidating he may seem … and tough he may be, but truly concerned he is and working from a place of caring he does … every time. Clanton’s original career goal was to become an attorney. When he started on that path at North Carolina’s Wesleyan College, he became a Resident Assistant and did that for four years as an undergraduate. 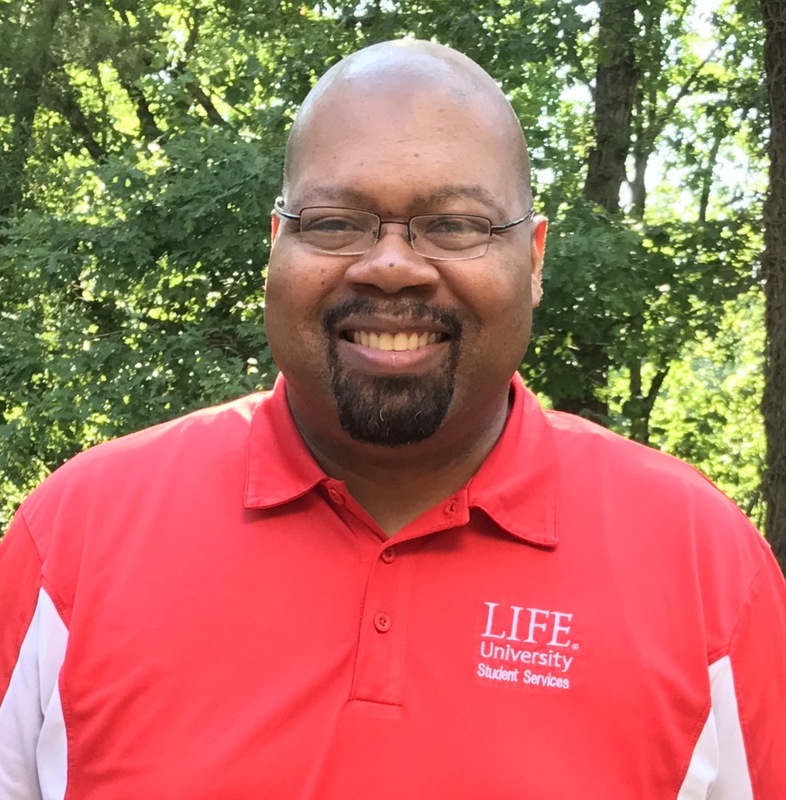 Then, moving up the ranks, he became a Resident Director followed by Graduate Resident Director, Area Complex Director and Assistant Director of Residence Life. Clanton’s personal and professional backgrounds are both quite varied. He hails from Bronx, New York, moved to Virginia at a young age, went to undergraduate school at Wesleyan College in Rocky Mountain, North Carolina and graduate school at Virginia Commonwealth University and is currently obtaining his Doctorate in Theology from Andersonville Theological Seminary here in Georgia. Clanton prefers to sanction student violations with community service whenever possible. He says, “If you’ve done something to the community, then now you’re going to give back to the community,” and when students do community service, it helps them to understand how they are a part of the community, how they affect the community and how giving back to the community can be so restorative.